Injecting stem cells to treat severe fractures speeds up recovery, physicians in the Orthopedics Department of the Hadassah University Medical Center have demonstrated. 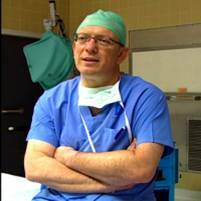 An article recently published in Molecular Therapy explains the research and clinical trial that was conducted over the past four years at Hadassah, under the direction of Prof. Meir (Iri) Liebergall, head of Orthopedics. Four years ago, the Orthopedic Department at Hadassah began a clinical trial where fractures, which tend to heal slowly or not at all, were repaired with the help of the patient’s stem cells. In this trial, for example, there was a fracture in the distal tibia, characterized by a scant layer of muscle tissue and bone support tissue, as well as reduced blood supply, all of which make recovery more complex. The procedure involved extracting 50 mL of bone marrow and 100 mL of blood from the pelvic area., in close proximity to the injury. The blood and bone marrow were transferred to the laboratories where mesenchymal stem cells were isolated from the bone marrow and platelets were isolated from the blood sample. The patient was brought back to the operating room and the surgeon injected a solution of stem cells, platelets, and demineralized bone matrix (powder with different proteins that help bone growth) into the injury site. According to Hadassah’s specialists, this procedure shortened the recovery process from 6 to 12 months to 2-3 months.